The project will be offered in five versions: digital and digital Deluxe; a standard, 13-track CD; a Deluxe Edition CD with a bonus DVD…and on limited edition vinyl. Live Nation are offering a pre-order for VH's "A Different Kind of Truth: EXCLUSIVE Tour Collector's Edition” Vinyl album. The double gatefold vinyl album includes all 13 songs on 2 LPs plus custom artwork. Please Note: This product is available for pre-order only. The album will be released on 2/7/12 . Pre-order customers will receive the deluxe MP3 version of "A Different Kind of Truth" along with the bonus "Downtown Sessions" on the release date (US AND CANADA ONLY). The Exclusive vinyl album will ship on or around February 24 depending on the manufacturing schedule. 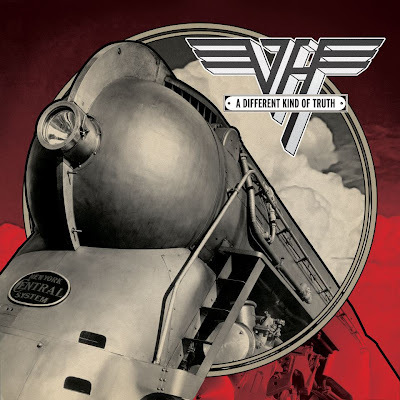 You can preorder your VH vinyl at Live Nation for $54.98 here.